Today’s manufacturer’s need to have an optimized SKU portfolio that delivers improved top and bottom line growth. 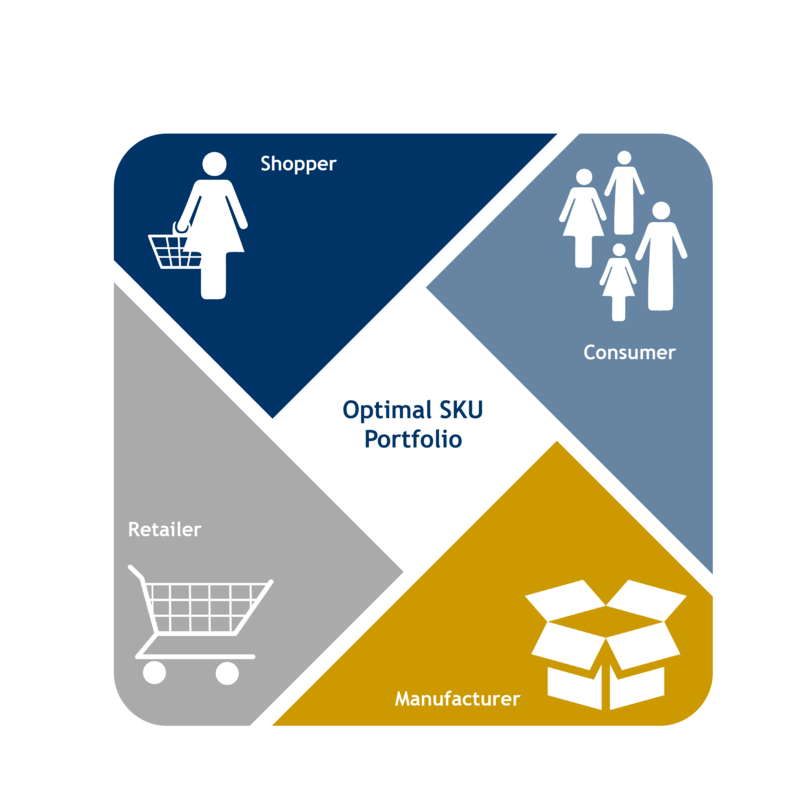 In order to achieve this, portfolios must be developed that win with shoppers, consumers, customers and the manufacturer. The best way to deliver this is to leverage shopper and consumer insights and closely collaborate with customers to simplify product assortment without losing share of shelf. In many cases today, manufacturer’s portfolios are growing complexity faster than top line growth, causing shoppers to disengage, driving up costs, hindering growth and negatively impacting key relationships with customers. Strategic Portfolio Management: Leveraging TPG experts we’ll train and develop your multi-functional organization on how to win with all portfolio stakeholders. This includes; better defining the portfolio architecture and how it delivers on brand promises to consumers, efficient assortment that improves category shop-ability and dramatically improves retail “in-stock” conditions for shoppers, better margins and transaction size along with inventory reductions for retailers and top and bottom line growth for the manufacturer. Developing a Winning Culture: Our team will help create the culture required to reward SKU productivity vs. delivering sub-optimal line extensions that increase complexity without corresponding increases in revenue. This work delivers increased sales via an increase in shopper satisfaction and improved customer relationships, while improving underlying cost structures and eliminating waste. Rigorous Process Management: In order to deliver sustainable competitive advantage and capability in this arena, TPG provides the expertise to help you develop the foundation, execution and maintenance processes and procedures to simplify, clarify and grow the team to deliver success. We will teach and train your subject matter experts to sustain the capacity and capability once we implement the program with your team in alignment with your company sponsors.